Description: Use Darice Glitter Wave Ribbon to create elegant accents for your accessories, simple craft projects and home decor. 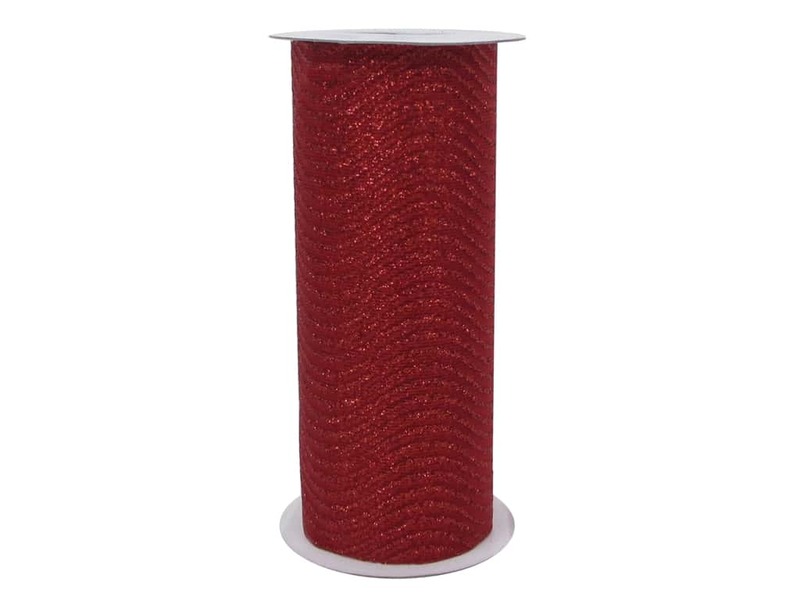 Ribbon is Red with Red glitter lines in a wave pattern. 6 inch x 8 yard.